The World Association of Zoos and Aquariums (WAZA) is the leading international body representing facilities that keep and display captive animals. To many, WAZA membership represents a guarantee that a zoo or aquarium upholds the highest levels of ethical treatment, and adheres to the strictest animal welfare standards in the industry. On its website WAZA claims that its members must uphold the "highest standards of animal welfare." In reality, some of WAZA's members are involved in one of the cruelest practices inflicted on animals anywhere in the world - the globally-condemned Taiji dolphin hunts. 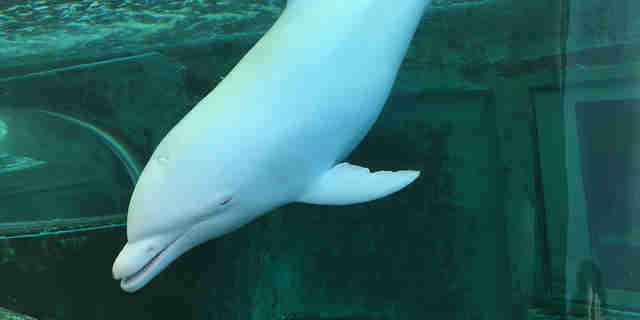 One of WAZA's full members is the Japan Association of Zoos and Aquariums (JAZA), and WAZA's worldwide network includes the Taiji Whale Museum, where Angel the albino calf floats listlessly in a filthy concrete tank. Angel was ripped from her mother in 2014 and became an international symbol of the cruelty inflicted upon the hundreds of dolphins sold into captivity from the hunts every year. 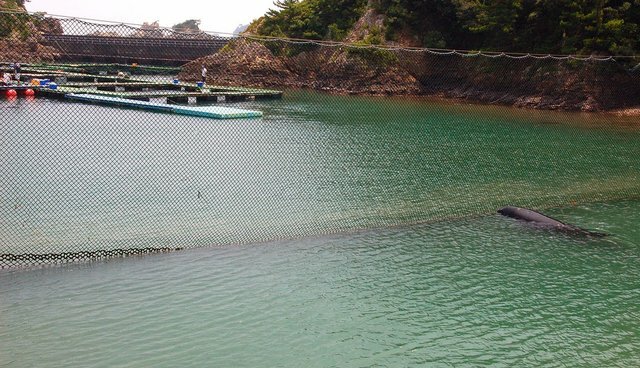 Dolphins captured in Taiji for display in WAZA-affiliated aquariums are subject to severe levels of stress and suffering. Many of them die during the capture process. Their friends and family members who are left behind are slaughtered with metal rods using methods experts believe register "at the highest level of gross trauma, pain, and distress." WAZA aren't the ones out there with the metal rods, brutally slaughtering whole pods of dolphins for six months of the year in Taiji. But as an influential zoo and aquarium body, WAZA should not stand by while its members purchase Taiji dolphins when it's clear that the aquarium trade provides the economic incentive for the horrific slaughters to continue. This much is obvious as soon as you look at the stats. The meat of a slaughtered dolphin sells for little over $500, while live dolphins sold into captivity, many of which go to WAZA affiliated aquariums, can sell for hundreds of thousands of dollars. And while the number of dolphins slaughtered for meat is going down every year, the number sold into aquariums is steadily rising. WAZA and JAZA affiliated aquariums make up a significant portion of the Taiji dolphin market. More than half of JAZA's 65 members acquire dolphins from the Taiji drive hunts, and JAZA facilities are home to more than 600 dolphins. In fact, 76 percent of all captive dolphins in Japan are in JAZA aquariums. If WAZA were to make a strong stand and stop JAZA members from purchasing Taiji dolphins, the hunts would suffer a significant economic blow. Zoos and aquariums value their WAZA membership, and they want to keep it. This is especially true for JAZA. We know that JAZA is protective of its global reputation, and wants to avoid criticism or expulsion by WAZA. WAZA could use its position of influence to require its members, including JAZA, to stop purchasing Taiji dolphins in violation of the WAZA Code of Ethics, and it could expel those who don't comply. But it doesn't. In addition to the issue of Taiji, there are multiple instances of sub-standard WAZA zoos mistreating and abusing animals in violation of WAZA's Code of Ethics. Many of WAZA's institutional members are notorious for committing shocking acts of animal abuse, such as the beating of elephants at Mysore Zoo, the euthanizing of perfectly healthy animals at Magdeburg Zoo and Copenhagen Zoo, and the exploitation of orcas such as Tilikum at SeaWorld Orlando, made famous in the documentary "Blackfish." WAZA takes no public action to admonish these members. WAZA's complicit endorsement of bad zoos and aquariums sets the benchmark for animal captivity very low, and takes away the incentive for "good" zoos and aquariums to improve the standards for animals in captivity. If successful, the #ShameWAZA campaign will have implications that reach beyond stopping WAZA members from purchasing drive hunt dolphins. It will create a precedent for WAZA to enact and enforce their animal welfare Code of Ethics, which will benefit thousands of captive animals all around the world. To learn more, or to take part in the campaign, simply sign the petition, and join in the conversation by using the hashtag #ShameWAZA. The #ShameWAZA campaign is being led Australia for Dolphins. AFD is working towards legal protection for small cetaceans (dolphins and other small whales). The organization's primary goal is to bring an end to the inhumane hunts which kill tens of thousands of small cetaceans annually. To learn more, please visit www.afd.org.au.